We have presented many of these giants of architecture in Floornature, and here is a rapid overview of the award-winning projects in each height category. 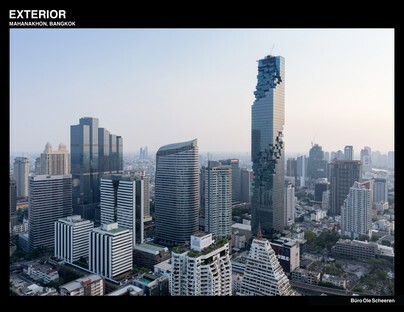 The winner in the first category, buildings under 100 metres in height, is the Kampung Admiralty, a mixed-use building designed by WOHA in Singapore and recently presented with the World Building of the Year Award, the top prize at the 2018 World Architecture Festival, held on November 28 through 29 in Amsterdam. In the same category, prizes also were presented to: Emblem (Sydney) - BVN Donovan Hill; Forma Itaim (São Paulo) - b720 Fermín Vázquez Arquitectos; Lè Architecture (Taipei) - Aedas; The Opus (Dubai) - Zaha Hadid Architects. Skyscrapers selected in the second category (Best Tall Building 100-199 metres) include the Amorepacific Headquarters, home to the Korean cosmetics company of the same name, designed by David Chipperfield Architects in Seoul. A building with a bold identity developed around an open central courtyard, it has three large windows at different heights connecting the outdoors with the open space in the centre and offering panoramic views over the landscape. Other buildings nominated in the same category include the Morpheus Hotel & Resort at City of Dreams designed by Zaha Hadid Architects in Macau, an iconic building created out of a vertical extrusion of the layout of a residential building that was under construction on the site but never completed, wrapped in an exoskeleton. As in David Chipperfield Architects’ project, the Morpheus Hotel is sculpted inside to create “urban windows”, voids visually linking the common areas in the skyscraper with the landscape around them. The other buildings selected in this category are: Baidu Headquarters (Shenzhen) - CCDI Group; Crystal Laputa Tower 1 (Chengdu) - 5+design; DUO (Singapore) -Buro Ole Scheeren; European Patent Office - EPO (Rijswijk) - Ateliers Jean Nouvel + Dam & Partners ; Manhattan Loft Gardens (London) - Skidmore, Owings & Merrill LLP; One Park Taipei (Taipei) - Rogers Stirk Harbour + Partners. BIG’s Shenzhen Energy HQ skyscraper was selected in the Best Tall Building 200-299 metres category. The building’s distinguishing feature is its pleated façade, which not only adds aesthetic value but plays a very important role in improving the building’s energy performance and comfort by maximising thermal energy, reducing solar radiation and creating diffuse light by reflecting the sun’s rays on the inside panels while framing splendid panoramic views for people looking out. 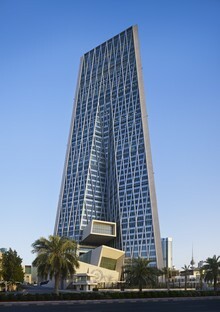 Other buildings nominated in this category include 181 Fremont Tower (San Francisco) - Heller Manus Architects; The Central Bank of Kuwait New Headquarters Building (Kuwait City) - HOK, Inc.
All the skyscrapers competing in the last two categories are in Asia, confirming the current trend in which China leads the way in building the world’s tallest buildings. 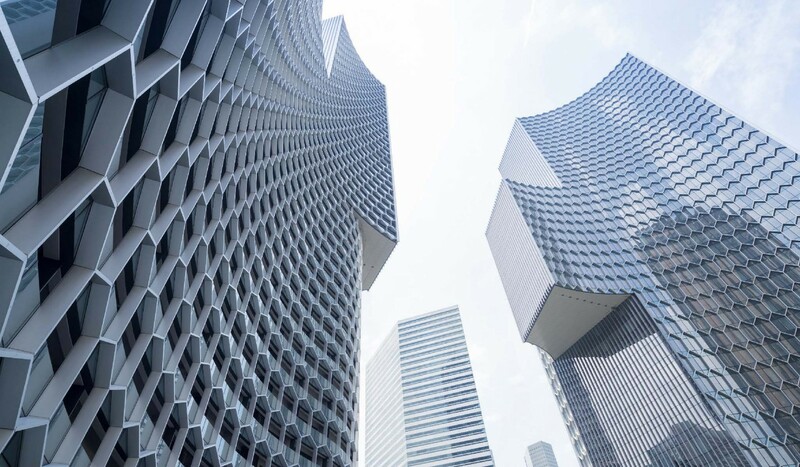 The buildings selected in the Best Tall Building 300-399 metres category are the China Resources Headquarters (Shenzhen) - Kohn Pedersen Fox Associates; Jumeirah Nanjing Hotel & Cultural Centre (Nanjing) - Zaha Hadid Architects; MahaNakhon (Bangkok) - OMA.